The greatest gift we can offer our loved ones and the world is our own healing. Blending the traditions of many diverse paths with many years of practical, personal psychospiritual healing and training, Jeri offers a unique and heart-centered intuitive synthesis of energetic, vibrational, and shamanic healing, spiritual counseling & mentoring. Grounded in a 12-step shamanic recovery and discovery foundation, through the lens of myths, archetypes, and astrology as metaphors for living our own stories and a language for the unconscious, along with a very practical life as a devoted mother and wife, Jeri understands first-hand that life is all about being in relationships and finding balance with those relationships – ourselves, each other, and the world around us. Jeri is here to assist and empower you to repattern and transform your life from woundedness into wholeness and to come into right relationship, with one’s self first and foremost. 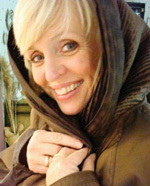 She does this in her own unique, intuitive, creative way through private healing sessions (in person, by phone, or remotely), as well as facilitating healing circles, ceremonies, group workshops, Goddess gatherings, Shamanic Breathworks™, and 12 step shamanic recovery & discovery groups and mentoring. Jeri is a Reiki Master-Teacher of Usui, Karuna, and Shamanic Reiki, and a practitioner of Attunement, Craniosacral Therapy, Synergia™, and Resonance Repatterning™ . She is a graduate of the Venus Rising Institute for Shamanic Healing Arts in NC, a Master Certified Shamanic Breathwork™ Facilitator, a Shamanic Soul Return practitioner, and an ordained Shamanic Global Minister. She is a High Magdalene Crystal Star Priestess through the lineage of Nicole Christine, an ordained minister of the Madonna Ministries, and a mesa carrier in the Pachakuti Mesa Peruvian tradition through the lineage of don Oscar Miro-Quesada and THOTH. Music is also one of Jeri’s greatest passions and inspirations since childhood. She regularly leads kirtans and satsangs and is honored to serve as the “Aquarian Shamanic Songstress” for the annual Wise Wolf Women’s Council gatherings at Venus Rising Institute in NC. Learning to dance the spiral path of life through the continuous cycles of change in her own life, Jeri brings a depth of heart and wisdom to her work with others. Coming into sacred relationship with ourselves, each other, and our world is our universal purpose. Loving, acknowledging, and embracing our authentic inner power and authority while nourishing our body, mind, and spirit on all levels brings inner peace, balance and harmony to one’s own Being, life, and personal relationships. The right use of power and accessing a higher love and wisdom, through the compassionate heart, is the pathway that leads to wholeness and sacred relationship. Jeri trusts the power of the Heart and the Healer within to heal all aspects and illusions of separation and woundedness to bring the awakening of wholeness and unconditional love that we all long for. Jeri’s passion is to serve, guide, support, inspire, and celebrate you as you awaken to your personal pathway and authentic expression of your most divine self. She invites you to join her in that co-creative sacred space where body-mind-spirit merge as a sweet song of harmony and your inner heart’s song awakens and comes into its full authentic expression. Jeri resides in the “Heartland” of the Midwest, the greater Kansas City metro area, with her loving and very supportive husband of over thirty years and is a proud mother of three beautiful adult children.